What is the Population of Nigeria? Maybe 182 Million, Maybe. The Economist published a comprehensive and clear piece on Nigeria’s struggles to understand it’s own population numbers. It is a more concise version of my previous post on what even makes Nigeria a state at all. It is something we may not think about often, but an accurate and up-to-date census is vital to a strong democracy. It helps determine which representatives get power, where social and public services need to be implemented, and, truly, it separates a well-functioning government from the Wild West. Nobody knows how many Nigerians there are. No census has yet arrived at an accurate figure. NIGERIA is Africa’s most populous country, a designation it wears with pride. It had more than 182m citizens in 2015, according to the World Bank, and is poised to have the world’s third-largest population, behind India and China, by 2050. But that figure and the extrapolation are based on Nigeria’s 2006 census, which was probably exaggerated. Parliamentary seats and central government money are handed out to states based on population, giving politicians an incentive to inflate the numbers. In 2013 the head of the National Population Commission (NPC), Festus Odimegwu, said that neither the 2006 census nor any previous one had been accurate. He resigned soon after (the then-government said he was fired). Counting Nigerians has caused controversy since the colonial era. The country was stitched together from two British colonies: a largely Christian south and a Muslim-dominated north. In the lead-up to independence in 1960, the British were accused by southerners of manufacturing a majority in the north, which they were thought to favour. In 1962 unofficial census figures showed population increases in some south-eastern areas of as high as 200% in a decade. The full data were never published and northern leaders held a recount, which duly showed they had retained their majority (their region had apparently grown by 84%, rather than the originally estimated 30%). This politicking led to coups, the attempted secession of what was then known as the Eastern Region and a civil war. The north-south divide has remained salient; there is still an unwritten rule that the presidency should alternate between a northerner and a southerner. Allegations that the north has manipulated its way to a majority continue. The censuses of 1973 and 1991 were annulled. In 2006 arguments flared when 9.4m people were counted in the northern state of Kano, compared with just 9m in Lagos, the commercial capital. The Lagos state government conducted its own, technically illegal, census and came up with 17.5m (probably a vast overestimate). A new national census has been repeatedly delayed. It is now scheduled for 2018, but the NPC’s estimate that it will “gulp” 223bn naira ($708m) may mean the count is put off indefinitely. 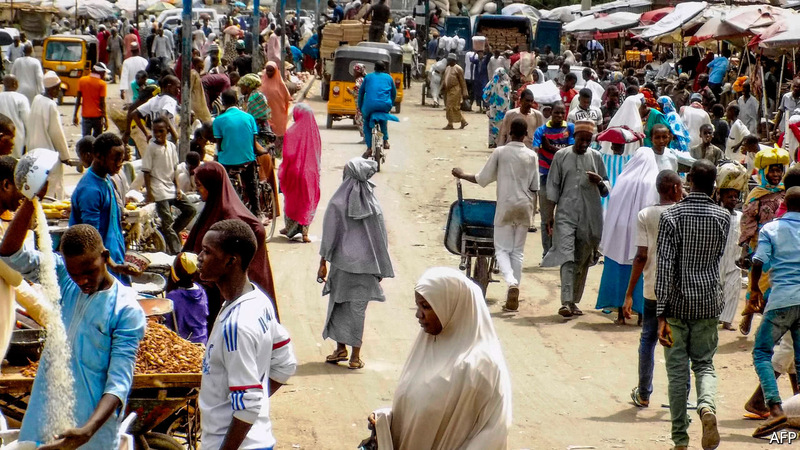 Even by other methods, Nigeria’s population has proven tricky to pin down. Africapolis, a French-funded research project, used satellite mapping to estimate the population of towns and cities in 2010. It found several cities, mostly in the north, had hundreds of thousands fewer people than the 2006 census counted. But even those data are not entirely trustworthy: it later transpired that the researchers had underestimated urbanisation in the densely populated Niger delta. Until there is an accurate, impartial census it will be impossible to know just how many Nigerians there really are. That means government policy will not be fully anchored in reality and it will not be possible to send resources where they are most needed. This entry was posted in Democracy and tagged census, democracy, Nigeria, Population, representation. Bookmark the permalink.